« What Good Are “Vendor Blogs” Anyway? I don’t think this (SGI Sold for 25 Million Dollars) is an April Fool’s Day joke either! Sun Microsystems went on the sell over 1,000 of those CS6400 (UE10K) jobbies per year for an annual take of over a billion dollars. PS. I need to point out to my Oaktable Network friends that this post was indeed a part of my ex-Sequent 12-step program. 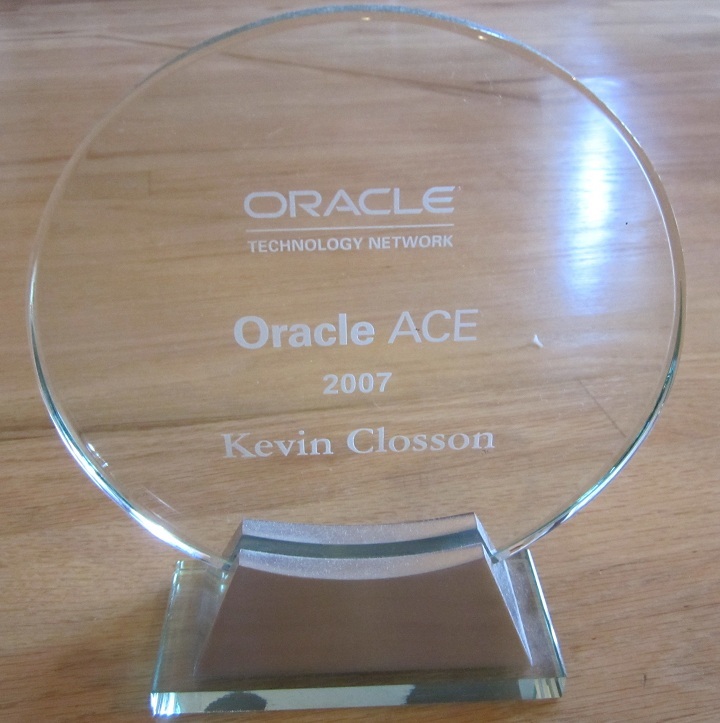 My exposure to all things Oracle – started with hardware. I do remember the Sequent machines of yore. I still work with a few people that tell me about system called Prime. While you were pondering the fate of CS6400. I was at HP trying to psych myself up on the Convex purchase. The HP V-Class servers had chance…..
That Nehalem stuff is looking good, isn’t it? Real sorry to see SGI go. I always liked their gear. Watched a demo of their graphics ability backin the early 90s that simply blew me away. They were head and shoulders above anything else back then. I do recall using one of their little “mac-like” systems inherited from CDC to demo our VDBA product back around 1992 or so, in a Canberra Oracle-asia-pacific show. It positively flew! Darn it, I’m so glad to see you stop by again. It’s been a long time. In fact, that reminds me that it has been a week or two since I’ve visited your blog. Anyone reading this comment can find a link to Noons on my blogroll…well worth the trip. So, (needed) pleasantries aside, Nehalem changes the game. The QPI architecture and the CPU microarchitecture makes huge, gargantuan systems in little spaces. It really is unbelievably good stuff especially for Oracle. I couldn’t be more excited. Real, powerful, scalable “commodity” NUMA systems that run Oracle without any bizarre tweaking. It’s what we all should have been asking for over the last 10-15 years. And, yes, SGI rocked! Amongst other fallen soldiers is SGI’s NUMA architecture first in Origin 2000 and later in Altix (the latter I know nothing about). Convex V-Series (HP) was the cat’s-meow of it’s day. Speaking specifically of the V2500…extreme bandwidth (but not as good as NUMA-Q), sweet latency and hardware locks to smooth out the bumpiness. I’d say HP put that purchase (Convex) to good use considering it ended up as the heart and soul of the Superdome. PS. Prime…oh, what a flashback…ask those guys if they ever got to touch a BiiN…now there’s a wild card. Bought my first Silicon Graphics machine 15 years back – for “graphics” – really loved the Indigo, and it was not beige like all of those other micro boxes in the office. Revisited them last year to look at running data warehouses as part of the Oracle Optimized Data Warehouse Initiative; very impressive machines, the Altix servers did a great job. But not one I sensed many of customers would want to do. What I liked about the E10k was it was essentially a UMA machine that scaled wonderfully. I did the first TPC-C on this box and the biggest problem was getting Oracle and Solaris up to 64bit in order to take advantage of the hardware.